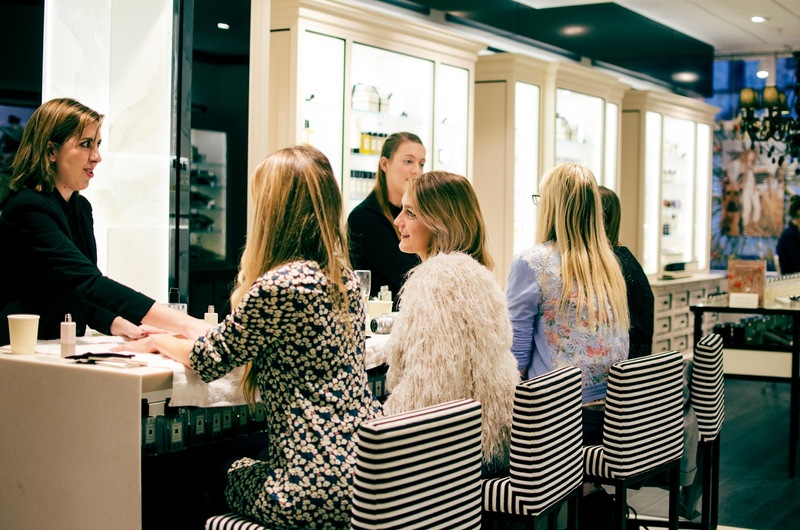 In February I was invited to the Jo Malone store in Chichester to check out their new English Fields colognes. The event was organised by the lovely KatieKirkLoves, and after the success of the English Oaks event, I knew I couldn’t miss out! 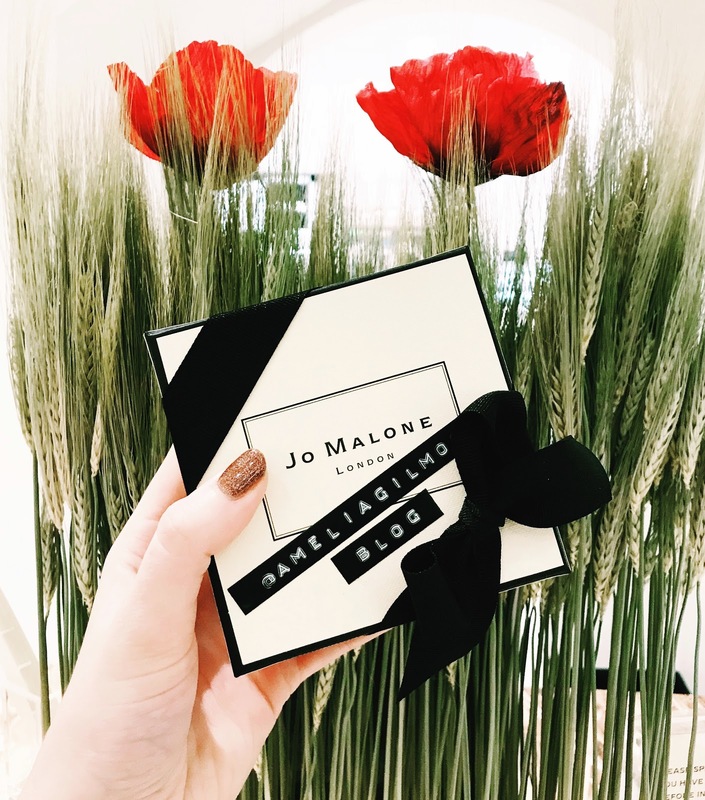 Jo Malone have released five new limited edition fragrances just in time for us to get our hands on for Spring/Summer 2018. I was super excited to see what scents they would be releasing in this collection and it’s safe to say I’m not disappointed! Wholesome oats, warm and delicious. Enlivened by vivid blue cornflowers and a hint of hazelnut. Complemented by an elegant vetiver base. Mouth-watering honey. Blended with the bright bloom of crocuses and English lavender. Sweetened with a dash of almond milk. 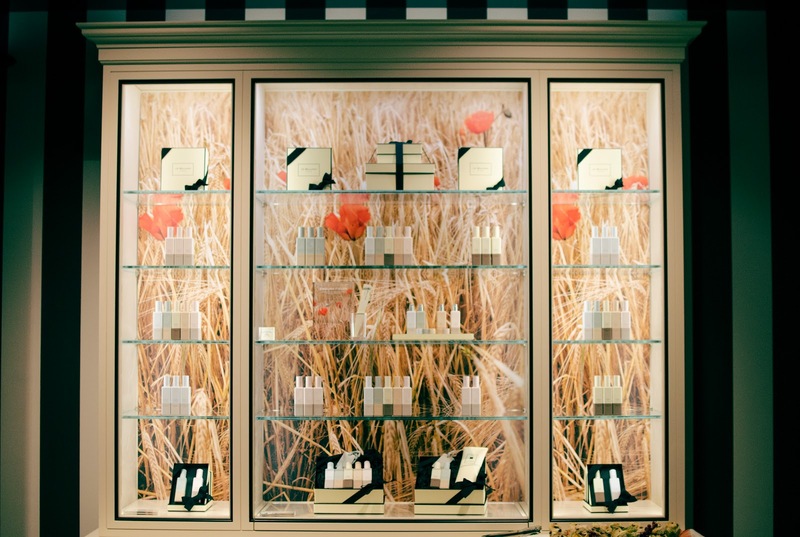 These scents perfectly represent the idea of ‘English Fields’ with soft, warm tones that make them perfect for wearing throughout spring and summer this year. 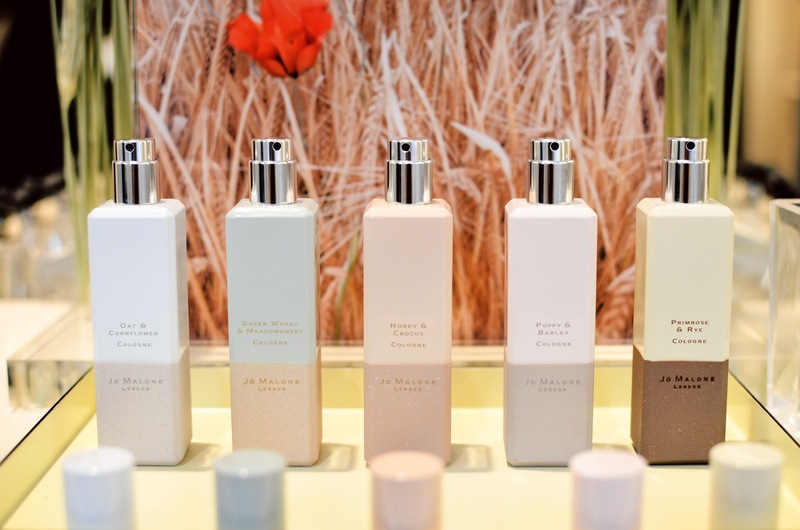 The bottles are also slightly different to the typical ‘Jo Malone’ style, with pastel colours each representing their key scent, they also really stand out in the Jo Malone collection. Once we had been introduced to the new range we were kindly given complimentary hand and arm massage with our chosen fragrance from the new collection. 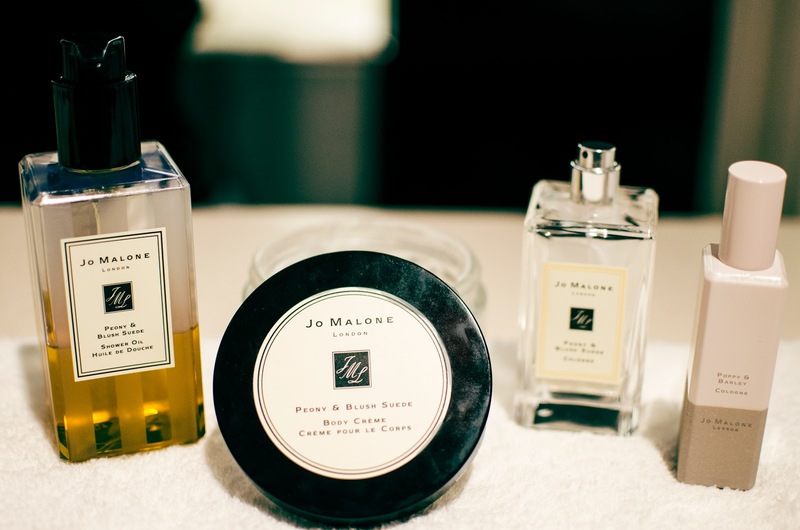 My favourite thing about Jo Malone is that all of their fragrances can be layered to create a personal scent, this means that their are over 400 different combinations! I chose my go to Jo Malone scent; the Peony & Blush Suede fragrance, and then paired this with the Poppy & Barley scent from the new collection. Paired together they created a wonderful floral tone, a perfect combination for the type of scents I tend to wear. 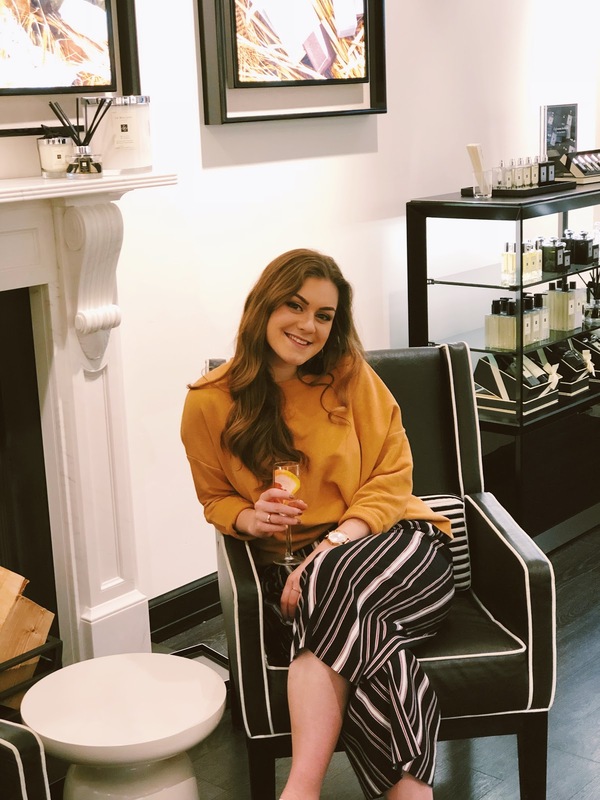 I would highly recommend visiting your closest Jo Malone store and having one of their massages, the fragrance combinations are endless and it’s a great way to find the combination that is just right for you! We also were given some delicious sweet treats, provided by the wonderful Wild Mint Cafe, perfectly complimenting the grapefruit prossecco we had all been enjoying throughout the afternoon. 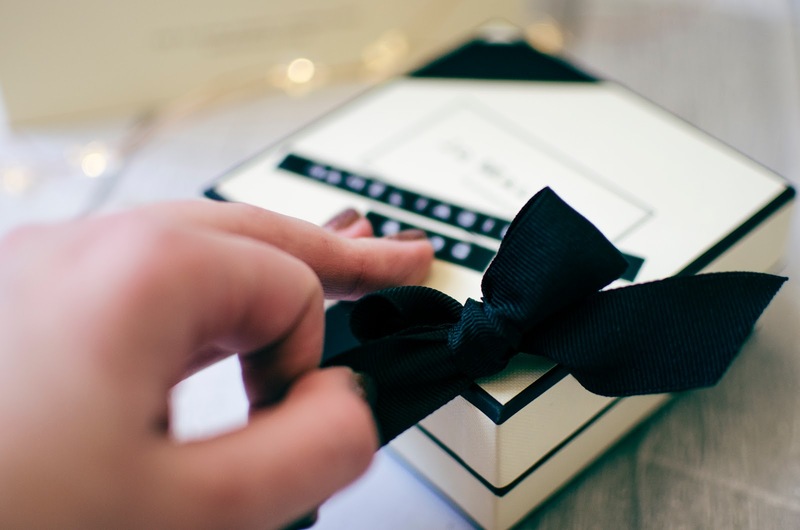 Last but not least, we were shown how to tie the perfect Jo Malone bow on our personalised boxes, which were then placed in our bags and sealed with a ceramic tag with our initials on. 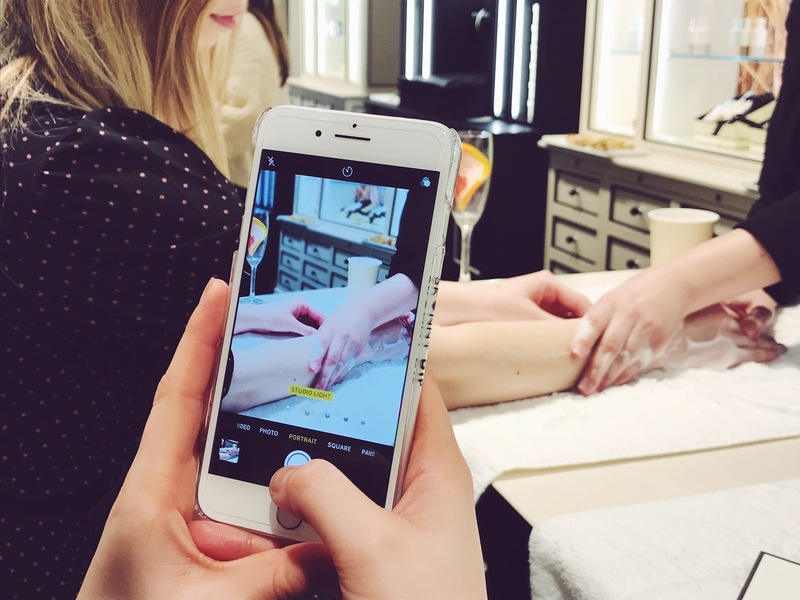 I absolutely love the attention to detail that Jo Malone provide, not just for their blogger events, everything is perfect down to a detail and they always make us feel so welcome in their store! 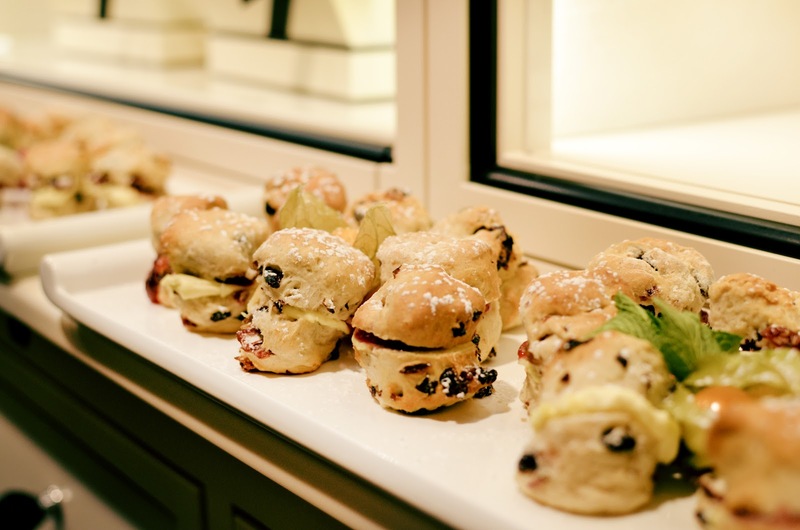 A massive thank you to Katie Kirk for once again organising a lovely afternoon for us all, and the amazing team at Jo Malone Chichester for hosting a wonderful event! The English Fields collection is a limited edition and wont be available for much longer, so make sure to go and check out the new fragrances as soon as possible! Have any of you tried this new collection? Which fragrance is your favourite?